PEOPLE in China spent 1.01 trillion yuan (US$149 billion) at restaurants, shopping malls and online outlets over the Chinese New Year holiday, according to the Ministry of Commerce. That was 8.5 percent higher than during last year’s festive period, but the slowest increase since at least 2011. 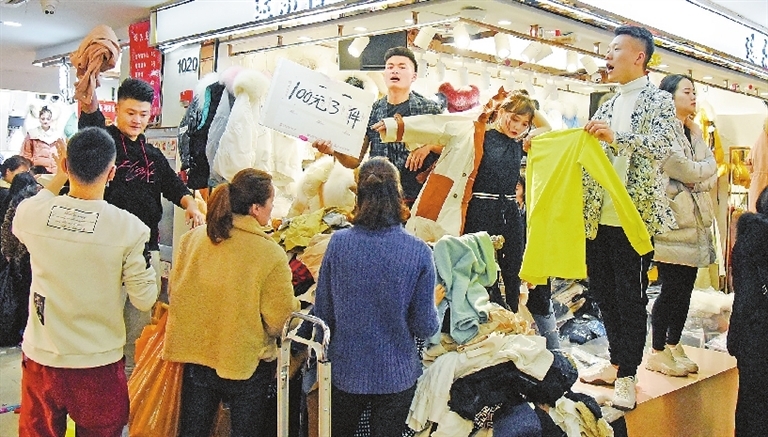 Increasingly frugal Chinese consumers are sending chills through global investors, with the pullback in spending hitting the profits of companies such as Apple Inc., Swatch Group AG and luxury car makers. Weaker growth, the trade war, and a crackdown on debt undercut momentum in 2018, sending auto purchases into a contraction for the first time in almost three decades and retail sales growth to the slowest pace since 2002. Domestic box office revenue was 1 percent higher than in 2018, according to a report in The Paper, which cited statistics from a cinema ticketing service platform of Alibaba Pictures. Those who are still shopping are increasingly doing it online, with JD.com reporting a 43-percent jump in sales around the holiday versus a year earlier. Cellphones, computers and home appliances were at the top of shopping lists, and there was a surge in purchases of kitchenware and furniture, according to a report from the second largest e-commerce site in the country. Spending growth in smaller cities jumped 55 percent on Alibaba Group Holding Ltd.’s Tmall, faster than in major metropolises, where residents are being squeezed by higher housing prices. Tourists chose Thailand, China’s Hong Kong and Macao as their top overseas destinations, according to Alibaba’s online tourism site. The United States was the seventh most popular spot.